Note to self: next time I’m ill, I should make soup. Not spend a couple of hours preparing something yummy and then not be able to taste it because my nose is blocked and my tastebuds have died. I think it was nice. People that tasted it said it was nice. 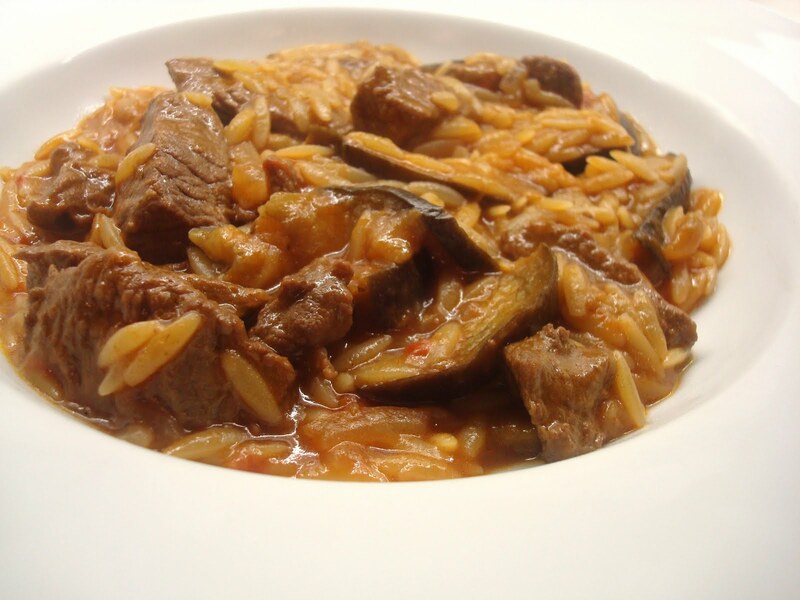 And you can’t really go wrong with beef and aubergines. And if there is one thing that can improve pasta, it’s cooking it in meat juice. Maybe I should start cooking all pasta in meat juice, or even better, roast it in butter and then simmer it in veal stock. This dish falls under the kokkinisto category of Greek cooking, which translates as “made red” and is a general term for tomato stews. When meat is involved, I love using spices like cinnamon and nutmeg and the brilliant all-spice. It’s not a kokkinisto without them. My general rule is to go easy on them with beef, since it’s quite strong, but use them liberally with chicken. Chicken kokkinisto is definitely in my top 10 favourite dishes, in a similar way that the French (and not only!) love their coq au vin. It’s aromatic and saucy and rich, perfect winter food. Hang on, I’m still talking about chicken? I’m making beef here. Concentrate. First, chop the onions and fry them in the olive oil. When they start getting soft, add the meat and let it brown. Add the wine, wait for a few minutes for the alcohol to evaporate and add the chopped and creamed tomatoes. Cook for as long as you like – the longer the better as it will make the meat tender. Add the spices and pepper, but not the salt. Someone told me that it makes the meat tough if you add it early on. I don’t know if it’s true, but it’s not a risk I’m willing to take. Especially with Sainsbury’s beef, you need all the help you can get. 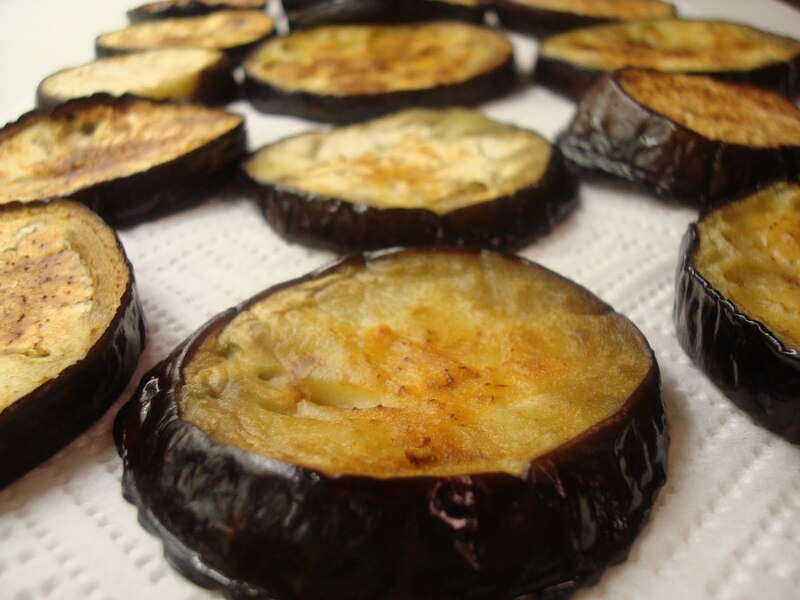 Slice the aubergines, brush them with olive oil and grill them. Arrange on kitchen roll to get rid of any extra fat. Then slice them in quarters. 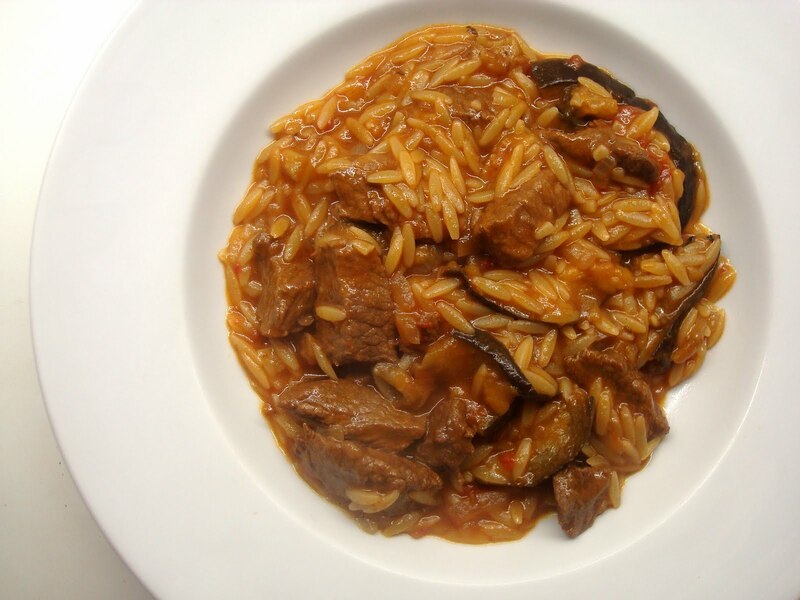 When your stew has stewed enough, add the aubergines, the salt, some boiled water and your pack of pasta. It is a bit tricky here: make sure you stir enough so the pasta doesn’t stick to the bottom but don’t add too much water or you will end up with a soup and don’t stir too much or your aubergines will disintegrate. When the pasta is done, you’re done. Grate some cheese (preferably something salty and strong, like pecorino) and enjoy. It’s perfect for winter so if you try it, let me know how it went! Next time on Round the World in 100 Recipes: This is scary. 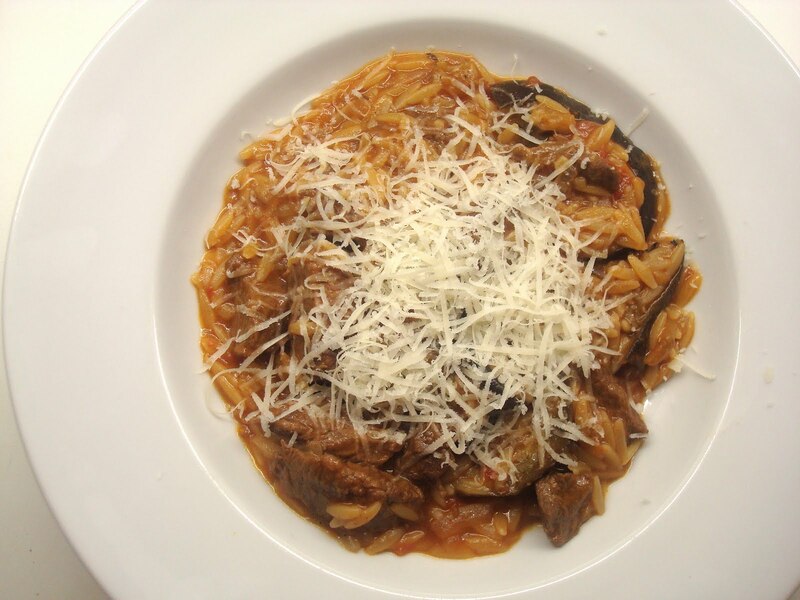 Love aubergines, love beef, love pasta. And all in one sounds even better – this looks gorgeous!